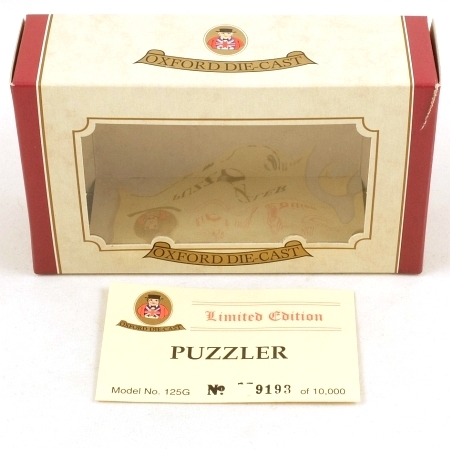 This a box for Oxford Diecast 125G Morris Bullnose Van 'Puzzler'. It is in good condition, just a small tear at one front corner. It comes with a certificate of authenticity, number 9193 of a limited edition of 10000. It just needs a model to go with it!